I wouldn’t call “Identity Thief” a great comedy, but I had a lot of fun watching Melissa McCarthy, who effortlessly commands the screen and proves once again that she’s a real comedian. As an employee at a financial business in Denver, Jason Bateman is cast in the role of straight man, and while he’s good, the main reason to see this film is to watch McCarthy at work. She plays a chronic liar who has stolen Bateman’s identity, forcing him to travel to Florida, find her and bring her home in order to clear his name. The movie has some funny moments. In fact it’s nonstop raunch until screenwriter Craig Mazin and director Seth Gordon decide too late that it needs to grow a heart. Worse, I don’t think the movie has many surprises to offer. Seth Gordon is coming off the sensational success of “Horrible Bosses” so he treats this material with confidence, but it’s unworthy. The movie’s only real value is the showcase it provides McCarthy, who’s still a star on the rise. She’s never played someone like this “sweet”, pathetic thief before and she does a fine job, never breaking character or displaying self-awareness. And he couldn’t ask for a better straight-man than Bateman. I just wish the material wasn’t so obvious and shopworn. 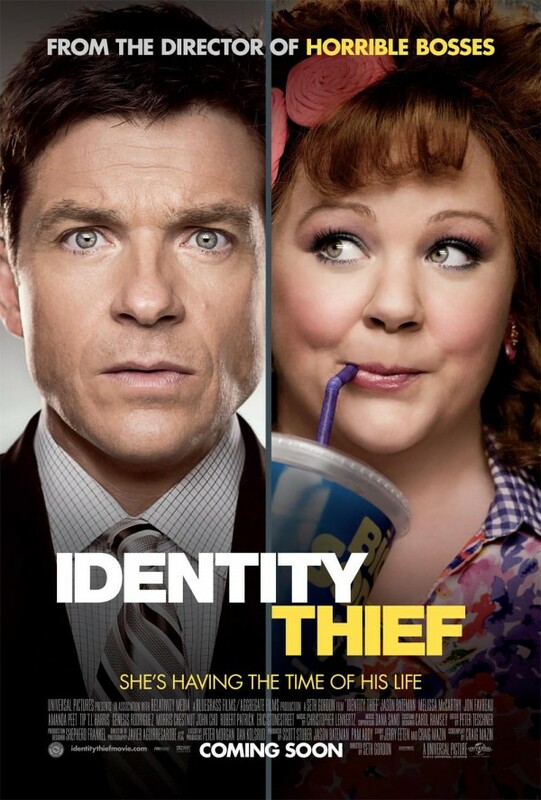 No matter, Bateman and McCarthy make “Identity Thief” seem a lot better than it is. Each earns a star in my review. The movie would be literally nothing without them.